Daqo New Energy Corp. (NYSE: DQ) (“Daqo New Energy” or the “Company”), a leading polysilicon manufacturer based in China, today announced that its wholly owned subsidiary, Xinjiang Daqo New Energy Ltd., has signed long-term contracts with three Chinese leading wafer manufacturers to provide them with monthly supplies of polysilicon starting from September 2013 to December 2014. 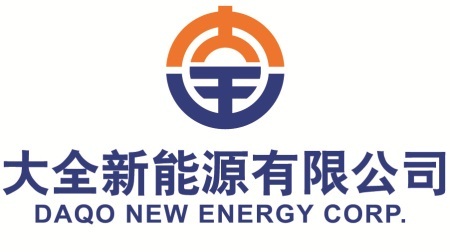 According to the contracts, from September 2013 to December 2014, Xinjiang Daqo New Energy will provide over 70% of its output to the three customers. The selling prices will be discussed and decided based on spot market prices at the time.